I AM OBSESSED with Mod Style fashion right now. 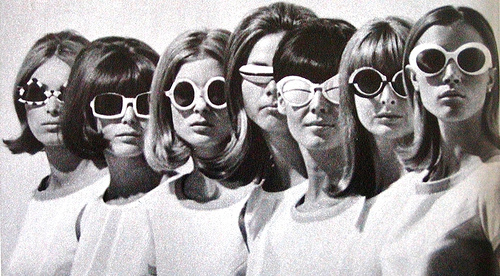 The sixties in general are one of the best fashion era's in my opinion. Icons that come to mind are Twiggy, Brigitte Bardot, Audrey Hepburn, Jane Fonda, Jackie Kennedy.. oh lawd.. those were REAL women. Women with class, style and their own fabulous agenda to conquer the world with. Fortunately for me, some trends are back for SS13. I've seen great items at Topshop, Zara and River Island already. Go get a few items, put on some black eyeliner and part your hair in the middle.. or get bangs. I migh also get some bangs again!